All sentient beings naturally desire happiness and comfort because our true nature of mind, Buddha Nature, is of total peace, happiness, love and is undefiled. So we desire these qualities externally to be in line with our inner true nature. Our true nature of mind is temporarily clouded by adventitious defilements, like clouds blocking the sun rays. Still, the clouds cannot totally obscure the sun (our true nature of mind). Thus, when we suffer, we desire peace and happiness. We need to know that, self-grasping is the root cause of all suffering (since the notion of self does not exist in our inner true nature of mind) whereas altruistic mind (which is our inner true nature of mind) is the root cause of all happiness. 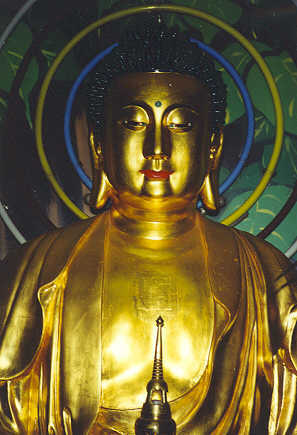 Jigten Sumgon said, "The Buddha's blessings are not greater for me or less for you." This is true because our own buddha nature and the buddha nature that has actualized by the great masters are not different. So let us build confidence, develop devotion, and practice tirelessly in order to realize that our negative thoughts and obscurations are only temporary. Purify them without exception and realize buddhahood. When a diamond is covered with mud, is its quality lessened? No, a diamond is a diamond. But when it is encrusted with mud, we don't use it as an ornament. When we realize that a diamond is underneath the mud, we take it out and polish it. Similarly, the essence of our own mind is no different from the Buddha's mind. When we realize this, we can "uncover" the mind by purifying negative thoughts. When we experience this directly, that is the Buddha's omniscient mind. Before we can do anything, we have to recognize that a naturally pure jewel is present in the mud. Once discovered, we first clean the jewel with a rough cloth or salty water. After that, we clean it more gently. Finally, we wash it gently with medicinal water and polish it with a silk cloth. Through these efforts, the pure jewel is revealed. We reveal our buddha nature in the same manner. First, we practice the four foundations to remove the gross layer of mud. Then we do the practice of ngondro - the preliminary practices - to uncover the more subtle obscurations. After that, relative and ultimate bodhicitta will uncover the most subtle layer of mind, and out comes the pure jewel of enlightened mind! Alla levande varelser �nskar naturligt lycka och v�lbehag eftersom v�r sanna sinnenatur, buddhanatur, �r obefl�ckad och �r av total frid, lycka och k�rlek. S�lunda �nskar vi att den yttre milj�n st�r i samklang med v�r inre sanna sinnenatur. V�r sanna sinnenatur �r tempor�rt t�ckt av fr�mmande villfarelser, liksom molnen tillf�lligt blockerar solljuset. Men molnen (villfarelserna) kan �nd� inte helt skymma solen (v�r sanna sinnenatur) f�r n�r vi lider d� tr�ngtar vi efter frid och lycka. Vi ska veta att sj�lvkl�ngande �r den yttersta orsaken till allt lidande (eftersom detta sj�lv inte existerar i v�r inre sanna sinnenatur) medan altruism �r den yttersta orsaken till all lycka. Jigten Sumgon sade, ”Buddhas v�lsignelser �r inte st�rre f�r mig eller mindre f�r dig.” Det �r sant d� v�r buddhanatur inte �r annorlunda �n den som f�rverkligats av de stora m�starna. L�t oss d�rf�r bygga f�rtroende, utveckla h�ngivenhet och outtr�ttligt ut�va s� att vi m� inse att v�ra negativa tankar och villfarelser �r bara tillf�lliga. Rena dem alla utan undantag och f�rverkliga buddhaskapet. Om en diamant t�cks av lera blir dess kvalitet d� mindre? Nej, en diamant �r en diamant. Men om den t�cks av h�rdnad lera anv�nder vi den inte som utsmyckning. N�r vi blir medvetna om att en diamant g�mmer sig under leran tar vi fram den och polerar den. P� samma s�tt �r essensen av v�rt sinne inte annorlunda �n buddhas sinne. N�r vi uppfattar det kan vi blottl�gga sinnet genom att rena negativa tankar. N�r vi direkt erfar detta �r det buddhas allvetande sinne. Innan vi kan g�ra n�got m�ste vi veta att en naturligt ren juvel g�mmer sig i leran. N�r juvelen �r uppt�ckt reng�r vi den f�rst med ett grovt tyg eller salt vatten. Sedan reng�r vi den varsammare. Slutligen tv�ttar vi den varsamt med medicinalvatten och polerar den med sidentyg. Med s�dana anstr�ngningar uppenbaras den rena juvelen. 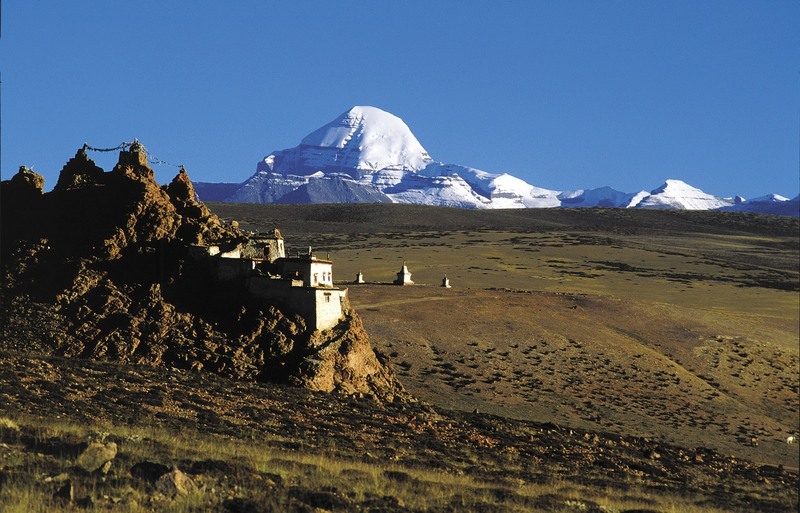 Vi uppenbarar v�r buddhanatur p� samma s�tt. F�rst ut�var vi de fyra grundtankarna f�r att ta bort det grova lagret av lera. Sedan ut�var vi ng�ndro – de f�rberedande �vningarna – f�r att blottl�gga de mer subtila f�rdunklingarna. D�refter blottl�gger relativ och absolut bodhicitta det mest subtila lagret av sinnet och fram tr�der det upplysta sinnets rena juvel. A precious human life (with leisure and endowments) is the basis for enlightenment and it is because of this that we have the opportunity to purify all the obscurations that cause suffering, cultivate bodhicitta (mind of enlightenment), and actualize the perfect qualities of mind. There are so many things in the world that we could do, but revealing the inner qualities of the mind is the highest achievement, because it is the ultimate solution for all problems both now and in the future. Even though it is difficult to find and has great beneficial effects, it is very easy to lose. There is no one who can prolong life, there are many causes of death, and each moment passes in an instant. Therefore, contemplate how difficult this precious human life is to obtain, how it is easy to lose, and how great its beneficial effects are. Think of this body as a boat and, therefore, make as much effort as possible to cross the ocean of samsara. Det v�rdefulla m�nniskolivet (med ledig tid och gynnsamma f�ruts�ttningar) �r grunden f�r upplysning och tack vare detta liv har vi m�jlighet att rena villfarelser som orsakar lidande, att utveckla bodhicitta (det upplysta sinnet) och att f�rverkliga sinnets alla full�ndade kvaliteter. Det finns s� m�nga saker som vi kan g�ra i denna v�rld men att frambringa sinnets inre kvaliteter �r den st�rsta bedriften d� det �r det yttersta svaret p� alla problem b�de i nutid och framtiden. Sv�rt att finna och med stor f�rdelaktig verkan s� �r det br�ckliga livet �nd� l�tt att mista. Inte n�gon kan f�rl�nga livet, d�dsorsaker �r m�nga och att varje stund passerar i ett �gonblick. D�rf�r kontemplera �ver hur sv�rt det �r att livet finna, hur l�tt det �r att mista och hur stor f�rdelaktig verkan kan vara. Betrakta denna kropp som ett farkost och str�va idogt att korsa samsaras hav. Karma is not merely a Buddhist belief. If karma were a belief system, then karma would exist if you believed in it, and would not exist if you didn't. In that case, it would be better not to believe in karma because your belief would just be creating an unnecessary burden for yourself. However, this is not the case. Karma means action. Any action we engage in with body, speech, or mind creates a cause. Thus, all happiness and suffering depend on the causes, the karma, that we created. Karma is the way in which all phenomena function. For our own benefit, we must understand it because karma is behind everything. Every moment of our life, we create karma or experience the results of karma. "As you sow, so shall you reap"; this saying describes karma exactly. Karma �r inte enbart en buddhistisk tro. Om karma vore en trosf�rest�llning s� att karma endast existerar om man tror p� det men inte annars, i s� fall vore det b�ttre att inte tro p� karma d� det bara skulle skapa on�diga hinder f�r en sj�lv. Men s� f�rh�ller det sig inte. Karma betyder handling. Med varje handling som vi utf�r med kropp, tal eller sinne s� skapar vi en orsak. S�lunda beror all v�r lycka och lidande p� de orsaker – karma – som vi skapar. Karma �r s�ttet p� vilket alla fenomen fungerar. F�r v�r egen skull m�ste vi f�rst� detta d� karma ligger bakom allting. I varje �gonblick av v�rt liv skapar vi karma eller upplever resultaten av karma. ”Som man s�r f�r man sk�rda.” Detta ordspr�k beskiver karma v�l. The pot that once was has broken into pieces. This demonstrates that all composite phenomena are impermanent. In particular, it shows human life to be the same. So, I will meditate and practice Dharma harder than before. This was the only wealth I owned. When it shattered, it became my teacher. Thank you for this fresh, priceless teaching. By transforming the incident into a meditation practice, he came to understand the nature of all phenomena. Buddha said: O monks! All composite phenomena are impermanent. In what way are they impermanent? The end of accumulation is dispersion. The end of all construction is falling. The end of meeting is separating. The end of life is death. Grytan som en g�ng var �r nu i bitar slagen. Det visar hur alla sammansatta fenomen �r f�rg�ngliga. I synnerhet g�ller detta ocks� m�nniskolivet. Med �n st�rre best�mdhet ska jag nu meditera och ut�va Dharma. Grytan var min enda �godel. N�r den splittrades blev den min l�rare. Tack f�r denna tankev�ckande, oskattbara undervisning. Genom att f�rvandla olyckstillbudet till en meditationsut�vning kom han till insikt om alla fenomens sanna natur. Buddha sade: Ack munkar! Alla sammansatta fenomen �r f�rg�ngliga. […] P� vilket s�tt �r de f�rg�ngliga? Ackumulation slutar i utspridning. All konstruktion slutar i f�rfall. Sammankomst slutar i separation. Liv slutar i d�d. 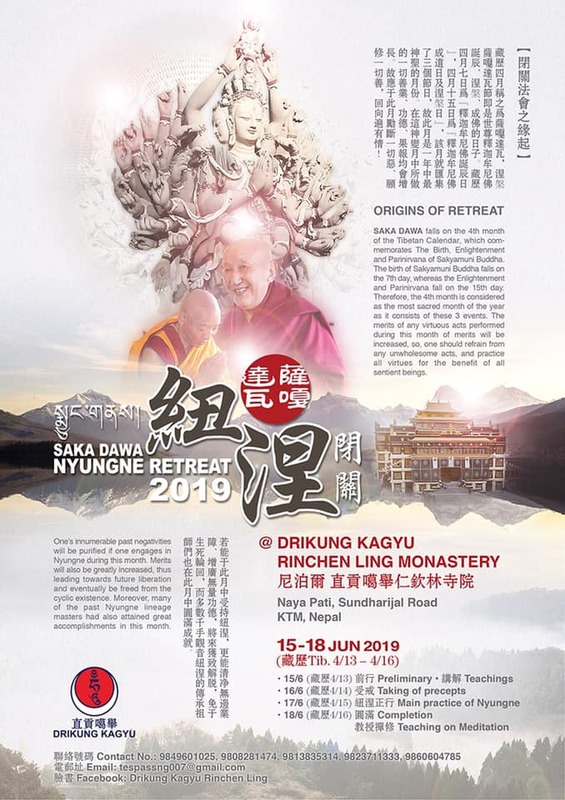 Ratnashri Meditation Center is a nonprofit organization which was established 1997 by most Venerable Khenchen Konchog Gyaltshen Rinpoche of the Drikung Kagyu Tradition. The center is under the supreme guidance from His Holiness Drikung Kyabgon Chetsang Rinpoche. The purpose of the Center is to promote Buddha's precious teachings by providing opportunity for Dharma practitioners to study, practice, and progress on the Dharma path. To achieve this goal, the Center invites highly qualified masters to visit regularly for teachings and retreats. The primary teachers of the Center are most Venerable Khenchen Konchog Gyaltshen Rinpoche, His Eminence Garchen Triptr�l Rinpoche and His Eminence Nubpa Konchok Tenzin Rinpoche. Many of us were deeply moved and inspired by their heartfelt teachings. The Center has been visited by His Holiness Drikung Kyabgon Chetsang Rinpoche, H.E. Drubwang Rinpoche, Venerable Lamchen Gyalpo Rinpoche, H.E. Garchen Triptrul Rinpoche, H.E. Nubpa Konchok Tenzin Rinpoche, H.E. Thritsab Gyabra Rinpoche, His Eminence Dagpo Chenga Rinpoche, Khenchen Nyima Gyaltsen Rinpoche, Venerable Rabsang Tulku Rinpoche, Venerable Drubpon Yeshi Trinley Rinpoche, Venerable Drubpon Jampa Rigzin Rinpoche, Venerable Drubpon Kunsang Rinpoche, Venerable Drubpon Tsering Rinpoche, Khenpo Konchog Tamphel, Khenpo Choskyab, Khenpo Konchog Sherab, Venerable Drubpon Konchog Khandro, Khenmo Thrinlay, Venerable Thich Minh Hanh, Dr. Wangyal and Dr. Dawa. We are very grateful for their precious Dharma teachings. The Center opens regularly for Dharma group study and practice. Our newsletter, Ratnashri Newsletter is published four times a year to promote and inspire enthusiasm in the study, practice and application of Buddha's Dharma teachings in our everyday life. Ratnashri Newsletter is published four times a year which contains precious Dharma teachings, vajra songs, upcoming events and practice schedule. The purpose is to inspire and arouse enthusiasm to our Dharma study and practices. Unbroken practice is like a watchful guard. It is simply unscattered and is free from accepting or rejecting. There is no duality of things to be abandoned and thus, no need for their antidotes. This is my heart's advice. The requirement for participating in any of the Sunday meditation practices is to have received empowerment and teaching from a qualified master on that particular meditation practice. The practice schedule above is subject to change. Please check before you come. To all the members and friends of Ratnashri Meditation Center. The Center has regular program for dharma study and meditation practice every week. Dharma is always useful and practical application when we face difficulties, specially in our mind. So dharma study and practice means how to bring inner peace and joy for oneself and others. It is wisdom and insight to choose the right cause for happiness for this life and next. Many greetings for the New Year and hope to see you all sometime in this year. You are welcome to become a member of Ratnashri Meditation Center, Sweden. The membership period extends from January to December of the same year. It is used to cover the printing cost, postage, for the Centers' Dharma activities and for the support to our teachers' Dharma activities. Full membership (250 SEK). Please send the payment to Ratnashri Meditation Center, postgiro 128 78 06-2. Any donation is welcome. All donations will be used to support Center’s Dharma activities and other Drikung Dharma projects. Please send the payment to Ratnashri Meditation Center, postgiro 128 78 06-2. Tireless through all future ages, may I fulfill all those tasks. Persisting in infinite practices, I know all their miraculous creations. As long as acts and afflictions exist, so long will my vow remain. 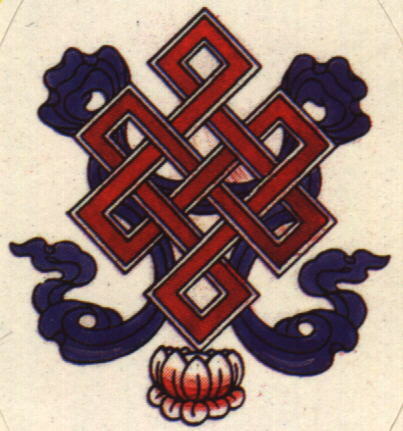 Let me give the Buddhas all worlds in the ten directions adorned with jewels. Let me give celestials and humans supreme happiness for eons as many as atoms. By whatever virtue I accumulate, having invoked the vow to practice good. May the pure aspiration of the world be at once all fulfilled. May worldlings submerged in the torrent of passion go to the higher realm of Infinite Light.